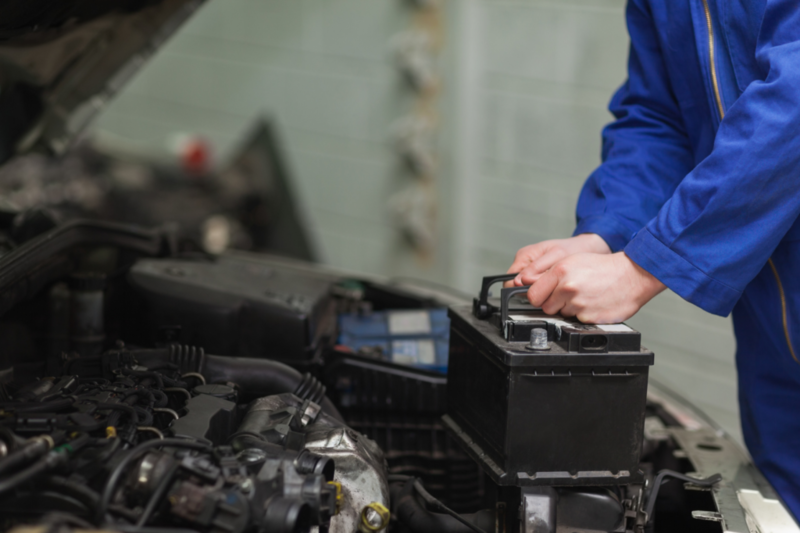 When to Check Your Battery | QwikWash America! We’ve all experienced having our car fail to start because of a dead battery, and it always seems to happen when we’re the busiest. Like any other part of your car, a battery gets weaker over time before finally giving out. Batteries can last three to five years, but it’s important to monitor your battery for signs of weakness throughout its life. Check your dashboard. It’s important never to ignore any warning the dashboard lights give you, and the battery light is an important indicator that it’s time to change the battery as soon as possible. Sound and lights. Do your headlights seem dim or erratic–going from dim to bright without warning depending on the speed of your car? Or does your car seem to start more slowly than usual? This could mean that your battery is failing. Also, if you hear a click from the starter when you turn your key, that means the battery isn’t providing enough electricity to your starter. Charging problems. If you’ve had your battery recharged recently but the recharge seems to be wearing off more quickly than it should, this is a sure sign that the battery needs to be replaced. An older, worn battery will no longer recharge completely. Take a look. If you feel comfortable doing so, open the hood and look at the battery itself. Does it look clean, or is there powdery dust around the terminals? This powdery dust is battery acid residue, so be careful not to touch it or get any on you. Of course, if you see a crack in the battery case or if its terminals look damaged, you should replace the battery right away. Whenever you find you need a battery change we’ll be glad to replace it so you can get back on the road quickly–and safely. ← How Often Should I Change My Oil?